Social Mapper is an Open Source Intelligence Tool that uses facial recognition to correlate social media profiles across different sites on a large scale. It takes an automated approach to search popular social media sites for targets names and pictures to accurately detect and group a person’s presence, outputting the results into a report that a human operator can quickly review. 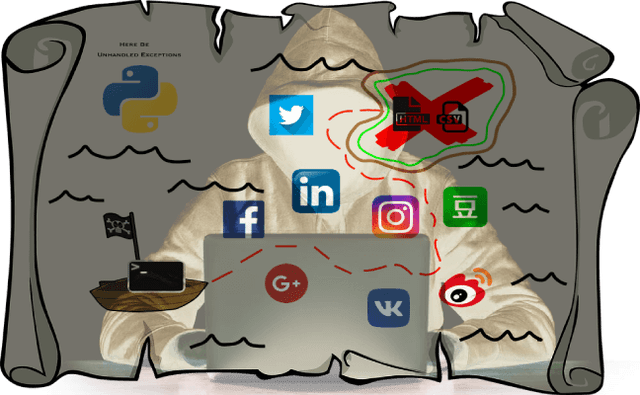 Social Mapper has a variety of uses in the security industry, for example, the automated gathering of large amounts of social media profiles for use on targeted phishing campaigns. Facial recognition aids this process by removing false positives in the search results so that reviewing this data is quicker for a human operator. A CSV file with names and URLs to images online. Why Do You want To Run Social Mapper? Trick users into disclosing their emails and phone numbers with vouchers and offers to make the pivot into phishing, vising or smishing. Install the Geckodriver for your operating system and make sure it’s in your path, on Mac you can place it in,/usr/local/bin on ChromeOS you can place it in,/usr/local/bin and on Linux, you can place it in /usr/bin. ← Neofetch- A Command-Line System Information Tool.